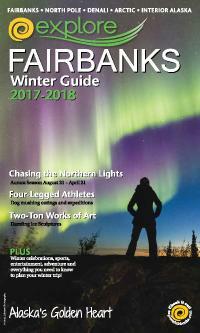 Fairbanks, Alaska (AK) - The 2017-2018 Fairbanks Winter Guide is now available for free. The Winter Guide, designed to help plan vacations in the winter season, is a 32-page full-color booklet. Filled with winter activity listings and an action-packed events calendar, the guide offers an informative, yet a lighthearted view of winter in Alaska’s Interior and the Arctic. 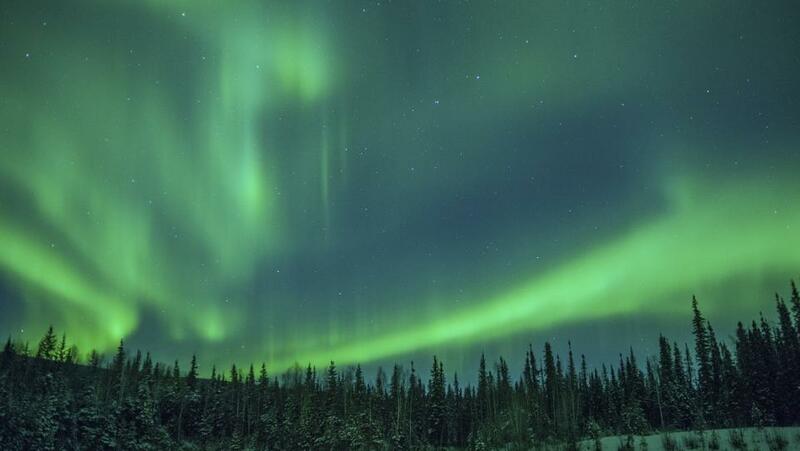 Like a trip inside a snow globe, Fairbanks offers northern lights viewing, ice-sculpting events and the exhilarating sport of dog mushing. The multitude of events and activities make the winter season a travelers’ snowy paradise. The event section provides current information about winter activities, celebrations and sporting events. Highlights include events such as the Festival of Native Arts, ice sculpting around town, the Open North American Championship Sled Dog Race, the Yukon Quest and the Iron Dog - the world’s longest, toughest snowmobile race. The diverse art scene in Fairbanks, including musical and dramatic performances, Alaska Native cultural events, art galleries and museum exhibits are also featured. Other outdoor action, such as skiing, ice skating, snowmobiling, snowshoeing, ice fishing, curling, tubing and ice hockey are also covered. For a free copy of the 2017-2018 Fairbanks Winter Guide, request one here, and we will send it out immediately. Or you may contact Explore Fairbanks at 800-327-5774 or (907) 456-5774 or write to 101 Dunkel Street, Suite 111, Fairbanks, Alaska 99701-4806. You can also order the guide or view it interactively online here.